Some shows ask you to dance, like an awkward teenage boy. And some shows make you dance. It's a question of greatness, pace, passion and love of the band, and of course, the crowd. Despite the mid-90 degree temperatures inside amid the human huddle of sweat and waving limbs at last night's Fleet Foxes show, we danced. And we battled. But mostly we danced. There are few shows that generate in me the kind of elation, positivity and pure energy as this one did. It was so excellent that immediately following the show, I could only speak in foul, terse superlatives like "Fuckingest amazingtastic!" and "Wondermost cockrockingest!" Of course, I didn't actually say those things. Those are dumb things to say. But this show was amazing. Even if the place it occurred could have been outside, in the cool of the night. And even if it was going to be inside it could have been anywhere but where it was. I've never minced words when it comes to my hatred of the Fillmore as a concert venue. It's a dance hall. It's a roller rink. It's a big tube. But it's not an acoustically brilliant space. And the biggest gripe for last night's show is the Fleet Foxes ended up sounding a little tinny. Tolerable, but still an affront to their pastoral perfection. But, hey we've got a couple of videos, provided by my dear pal Max Winkler. My great friend Jon commented specifically on the tinniness, saying that the show felt like a really good band "covering Fleet Foxes." And I get his point. 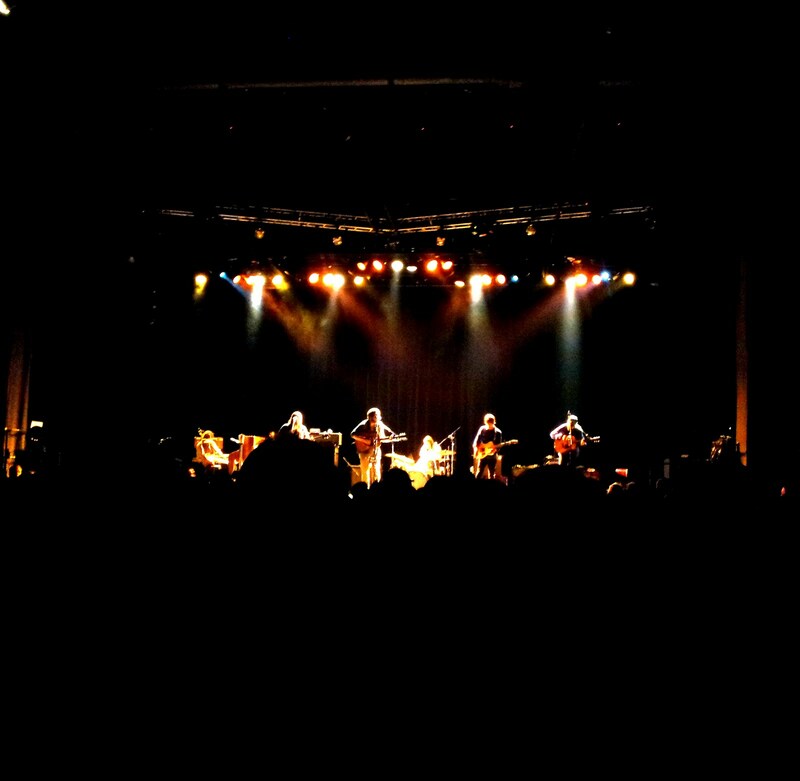 But, ultimately, Robin Pecknold's vocals were supreme, if too bright due to the cavernous awfulness of the Fillmore. And the harmonies were exquisite. And the band sounded immaculate. But even greater was the energy. As they played their set, an amazing and perfectly designed fly-over of their best and smartest tracks, the crowd was at their mercy, in the good, hypnotized, enthralled way. They played "Mykonos" and "White Winter Hymnal" and "He Doesn't Know Why" and "Blue Ridge Mountains" and "Oliver James." They played the center of the Fleet Foxes as a medley. And to close it all out, they played "Helplessness Blues." But it's not just the songs that matter. Because we, the audience, were singing with them, and that communal exercise changed this from a show to be seen into a show to be experienced. There's something incredibly powerful about a roomful of people singing "Tell me anything you want. Any old lie will do," in perfect unison and near-perfect harmony. That's what I'm most thankful for. But, not to forget opener Alela Diane, whose Neko Case-ian vocal stylings and growling folk/country/rock guitar work made for an excellent appetizer. I'm fairly certain that she is an angel in disguise. 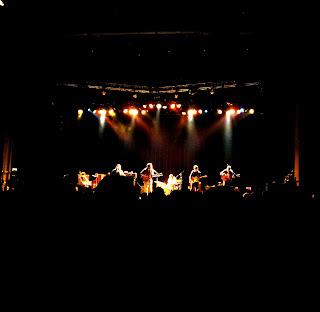 My last experience at the Fillmore that was even close to this one was the phenomenal Decemberists show back in 2009. If you have a chance to see Fleet Foxes over the remainder of their tour, please do it. You will not regret a cent spent. And hey, check out Helplessness Blues, their new, phenomenal album... There's a little stream below.